The Reynoldsburg City School District is proud to offer one of the nation's largest K-12 STEM programs. Three of Ohio's 15 state-designated STEM schools are right here in Reynoldsburg: Baldwin Road Junior High, eSTEM Academy and (HS)2 Academy. The district also has two STEM-focused elementary schools: Herbert Mills Elementary and Summit Road Elementary. All Reynoldsburg STEM schools are schools of choice, available to any student in the district. 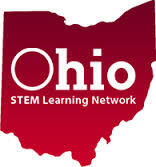 Reynoldsburg is a proud member of the Ohio STEM Learning Network and the national STEMx network.